The Iga region in Mie Prefecture, known as the site of the Iga Ninja village, Matsuo Basho's birth place is actually home to delicious rice and water. Mori Kisaka located in that place is all handmade small volume production. Therefore it is also a rare worth brewer who is high in rare value and attracted attention to beauty wine maniacs all over the country. Also, I think that making rice before sake making. Especially raw rice ingredients are only rice, so the influence of raw rice is more visible. As well as choosing raw material rice, I believe that it is also a matter of course to decide what type of rice making is being made and to select it. 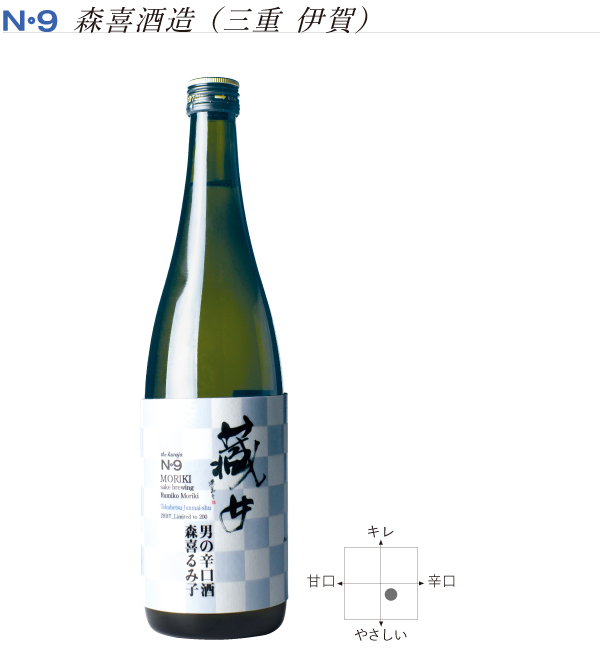 It is close to impossible to find out all the rice used for sake brewing, but Yamada Nishiki is made mainly by Mr. Rikiko Mori, Managing Director. Ruko Mori is responsible for koji making which is the keystone of sake making. Those who seemed to have heard the name are quite passable. It is a model of "sake of pure rice wine sake" named and labeled by Mr. Akira Oze known for manga "Natsuko no sake" (Kodansha).